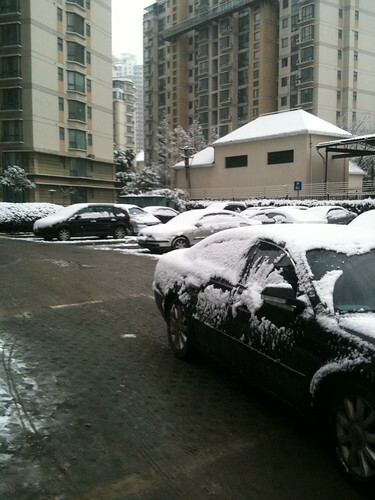 most places of China is snowing these days, including my hometown wu han city,hu bei province. what a lucky to live and work in guang zhou right now for me. the climate is much better than shanghai etc even though it’s still a little cold at present. Snow sweeping is also a popular past time in Seoul this year, though I think the makers of snow shovels are doing a brisk business. 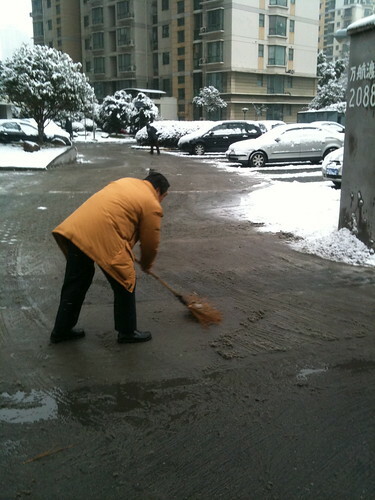 Now that I’ve moved out of a high rise and into a smaller building with a driveway just big enough for two cars – mine and my neighbor’s – I’ve also found sweeping the snow to be surprisingly effective if you have a good broom. 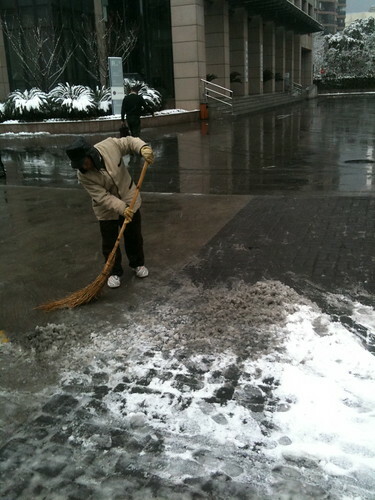 Another reason for Beijing to despise Shanghai: winter precipitation. Drier than a popcorn fart up here! 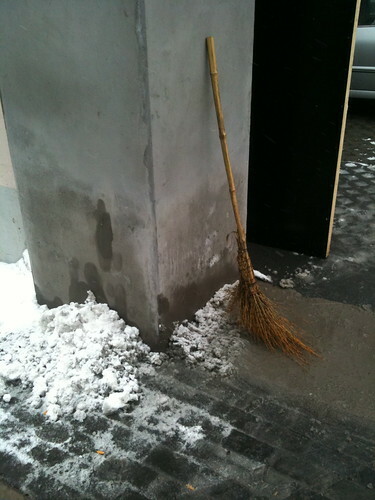 Can you get push brooms in China? I use one to sweep out the snow in my driveway when we get a dusting like that. Once the snow is higher then an half an inch it is shovel time, even if I just use it like a plow to push the snow to the side. And I would be very jealous of snow like that. We’ve already had 3 feet of snow this year with another storm hitting tonight. man…don’t even want to know how cold it is without heating or how many layers you need to wear! In Switzerland (and in the North of China) it’s colder most of the time this time of year…but only outside! Crazy, I have been reading your blog for a few years now. Having already moved back to the states, I was shocked to open this entry and discover the exact apartment community l lived in for 2 years (2005-2007ish).